ATS Deep Pans add more fluid capacity to your transmission to help keep it cool! Heat is the number one enemy of a transmission and the cooler it runs, the longer it lasts! ATS Deep pans feature a finned design, magnetic drain plug and are tapped for a temperature probe. 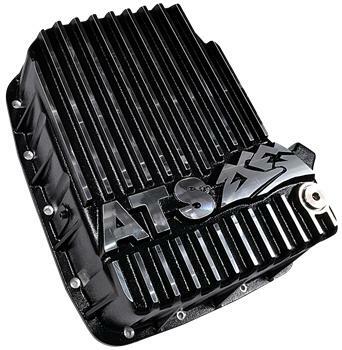 All pans are powder-coated black with machined ATS logo and fins. ATS pans come with a gasket, and for some models, a billet block to lower the stock filter to the bottom of the pan. A transmission filter is NOT included. Contact ATS for specific questions on your application.